To real estate brokers: how to make «bald land» more attractive? Home>Articles>To real estate brokers: how to make “bald land” more attractive? «Bald land» (piece of land without contract) attracts real estate brokers by its low price. Exceptional, empty areas are sold for a song. However, usually it’s complicated to find clients for these pieces of land situated out of settlement. Today, when the Government disburses huge amounts to raise agriculture, almost nobody need them. Today «summer house desire» is not so big to invest money in plain lined out field instead of in a territory with developed urban improvement. Moment of glory for lad pieces without contract passed almost five years ago. 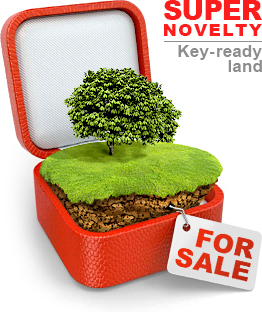 How to attract attention of clients to unowned land? Solution does exist. System of up-to-date solutions. 1. Independent gas supply. The question of fast gasification can be solved installing gas tank from «Antonio Merloni». 2. Heating, hot water supply, cooking – everything is realized on gas, without electricity. Heating system is organized using gas convectors. 3. Treatment systems. Bioorganic and biological septics «Uponor» (Finland) guarantee safe and efficient waste water treatment. 4. Electricity from solar power on base of equipment from Private Company «OutBack». I.e., free electricity (applying renewable energy resources). Electric power will be required only for lighting, television, computer, refrigerator and so on. And voilà! – You have at hand all what you need for your life. «Bald land» is no «bald» anymore, it’s ready to welcome a man, provide him with comfort accommodation. Of course, only in case of access communication availability. 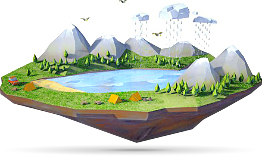 This give creative real estate brokers the possibility to sell land all around territory of Russia. On the piece of land gotten into shape it will be possible to construct a house, organize home farmstead, cowsheds, rabbit sheds and so on. That will be also reasonable to mention about the price of the land which will be increased with communications. As somebody ingeniously noted: «Buy the land – it is not produced anymore!» Have value-enhancing investments! Objects realized by GC «Terrikom»: alternative electric power supply.